Before we show you how to use sugaring gel for hair removal, you'll need to make the product. Our simple sugaring recipe (get directions) is easy to make with ingredients you probably already have at home. An added bonus is that it's all natural. Talk about cheap hair removal. Once you have your sugaring gel made for about $2 or so, there are only a couple other items needed and you're all set. Check sugaring gel after being microwaved after 30 seconds. It needs to be the consistency so that it can be stirred somewhat easily, but not watery. Continue to check in 15 second increments until it becomes just right. It took me one minute in my microwave. You'll then check the temperature by applying a tiny bit to your arm. If it's too hot or watery, just let it cool down a bit before using. Cleansing the skin is a very important prepping step for the sugaring hair removal method. 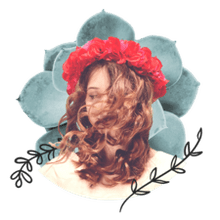 Not only does this help curb some of the potential side effect of getting pimples, the product adheres better to a clean surface and will give you better hair-ridding results. With a cotton ball or round apply a product like GiGi Pre-Hon (compare prices on Amazon), it also contains anti-microbial and anti-inflammatory ingredients to help protect skin from irritation and break-outs from hair removal. Then apply a light dusting of talcum powder, baby powder or cornstarch and rub softly into skin. Remember, more isn't better. Applying too much powder will interfere with removing the hair. Powder acts as a buffer helping the gel to grasp the hair better and stick less to the skin. You'll need at least 1/4" of hair growth for it to be removed. Apply the sugaring gel in the same direction of hair growth with an applicator at about a 45-degree angle at a section of hair smaller than the strip you're using. You want the product to coat the hair, but you don't need a ton. If you apply too much, you'll have a problem removing the hair or break it above or below the surface. Large applicators are great for the body and smaller ones work better for more precision on the face. Most of the wooden applicators have rounded edges, but square edge applicators help make getting the bikini line straighter. 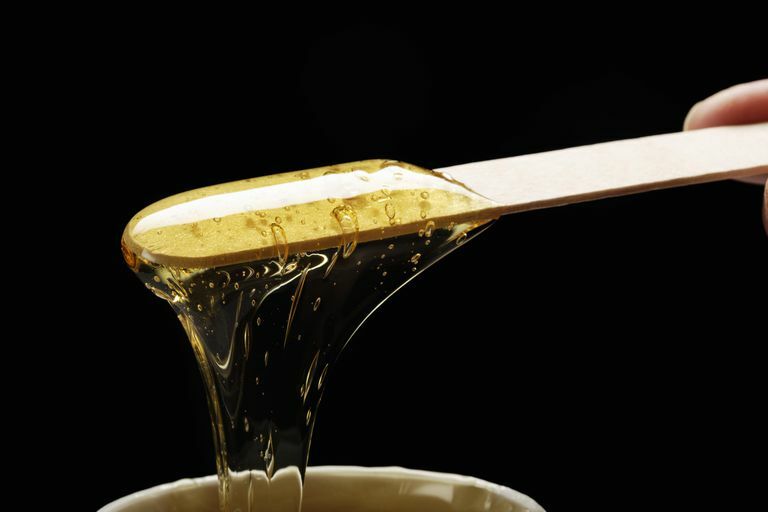 Sugaring gel has also been called sugar wax because it's applied similar to waxing- but it's not a correct term. Sugaring paste, on the other hand, uses a different technique that takes hair as short as 1/16 of an inch and doesn't require strips or applicators. Now you'll take your strip and apply it over the sugar gel in the same direction of hair growth, leaving some epilating strip over at the end that isn't attached to any hair. Rub your hand flat over the strip a couple times in the direction of hair growth so that the gel is firmly attached to the hair. To save money on strips, you can use re-use denim strips made by Shobha salons (compare prices) by washing and drying them. Now holding skin taut with your free hand (I couldn't because I was sugaring my arm) remove strip quickly with one pull in the opposite direction of hair growth, all the way to the other side. Don't pull strip straight up or remove it slowly. Keep working in sections until you remove all the hair. You can apply the sugaring gel over the same section (unlike waxing), but I would only do that a couple times. Those with sensitive skin really need to be careful. You may need to heat the sugaring gel up again in the microwave as it begins to cool down. You'll know when the gel gets thick and it isn't removing as easily from the skin. You probably will only need 15 to 30 seconds to re-heat. Any missed hairs can be removed with clean tweezers. Once finished, any excess gel or stickiness will come off skin with soap and water from this homemade hair remover. To calm skin and lessen redness and irritation apply GiGi After Wax Cooling Gel. Because hands can carry a lot of bacteria, try to avoid touching sugared area the first 24 hours to lessen the amount of irritation and potential pimples. Go to the next page for troubleshooting. Have more questions? Check out our Sugaring Hair Removal Recipe F.A.Q. for using the paste and gel.